What are Investment Sales Loans? 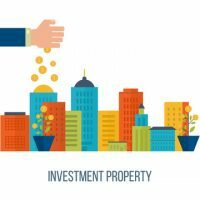 Any type of financial investment in real estate that turns a profit can be considered an investment sale. This includes purchasing, leasing, renting, managing, or selling real estate property at a higher price than what it was originally bought at. We offer loans at competitive rates for these kinds of loans. Investing in real estate serves a dual purpose. The first property bought serves as the primary home while the others are used to generate rental income. These properties appreciate in time and collect rental income. To do any kind of business or make a residence requires real estate. It may comprise of a building or land. This may include uncultivated land rich in natural resources such as water, minerals, etc. It may be a farm where livestock and crops are grown. Based on the type of purpose there are 3 types of real estate for which these loans can be lent out. The 3 types are industrial, residential, and commercial. The industrial real estate comprises of farms, mines and factories. The residential estates comprise of land, condominiums, townhouses, etc. The traditional commercial loans amortized over 5 – 25 years, with a normally variable interest rates 4.5 – 7.5%. There could be a balloon payment at the end of the term. The SBA 7(a) loans with a term of 10 – 25 years. The interest rate is between 5.5 – 6.75% at a variable rate. There is no balloon payment at the end. 2nd mortgage from CDC at a fixed rate and is fully amortized. The loan deals fall under two broad categories – Owner Occupied (can avail to government funds) and Income producing. Find out how much you can borrow to get a general idea of how much you can borrow. Narrow your property search to your budget. The lenders may also consider the potential rental income to project how much you can borrow. Consult with your advisor to calculate this amount. Calculate your loan and purchase costs where you will need 5- 10% deposit for the purchase. The criteria for the deposit and loan may differ according to the lenders or banks. Plus, the loan application fee, the valuation fees, the statutory government charges, the legal fees and the Lender Mortgage Insurance if you borrow more than 80% of the property value. Investigate your loan options as there are many options available like the Line of Credit loans. You can invest in a property extending the previous as a deposit. Interest only loans are good for the businesses focused on capital growth. Consider the repayment options you may have to pay the interest in advance. These loans aren’t very different from the other types of home loans other than charges, fees, rates and features. Best to study and compare them. Get a loan pre-approval, it is like the application process. The only difference is the security details. Your income, assets, expenditure, and liabilities will determine how much you can borrow. Find a suitable property the factors to consider are the location, demographics, the infrastructure and the development plans for the area. Buy the investment property – Search the properties. Check the contract of sale for conditions. make an offer for the purchase. Put down a deposit and check the conditions of the sale i.e., the contract. Finalize the investment loan approval with the lender or advisor. If it is a pre-approval this may take a few days. You will receive a formal Letter of Offer that you will sign and return to the loan officer with a copy for yourself. The settlement of the loan (next article on manufactured loans) will commence with the receipt of your loan documents. These will come with a schedule for payment and the settlement date. Organize the relevant insurance if necessary.